Denuvo’s been part of Sonic Mania since the game launched last year, but the new DLC has brought a fresh round of scrutiny for the game’s DRM implementation. According to notable cracker Voksi, there’s a specific trigger that will hit the game with slowdown whenever you look at a certain menu, and it’s affecting folks with legitimate copies of the game. Voksi says on Reddit that he encountered the same trigger while developing a crack, hitting the same Denuvo loop in the same position. That crack’s already been completed, so the only people affected by the issue, then, are those who’ve purchased legitimate editions of the game and its new DLC. There is an important distinction to make here – assuming these reports are accurate, it’s not Denuvo itself but rather a poor implementation that’s causing the slowdown. That means all your concerns about DRM affecting gameplay aren’t necessarily justified across all titles – this one’s a glitch that could theoretically be fixed while leaving Denuvo intact. Of course, the difference between “DRM” and “poorly-implemented DRM” likely won’t mean much to most. 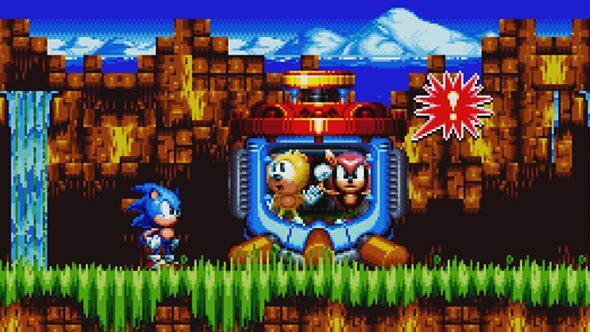 Sega was quick to fix another issue with Sonic Mania DRM last year, when it forced players to stay connected online in order to play. Hopefully this one has a similarly quick fix. If you’re concerned about similar impacts on future games, you’ll have a lot to watch out for – Monster Hunter: World uses Denuvo, and Resident Evil 2 DRM will follow suit in 2019.